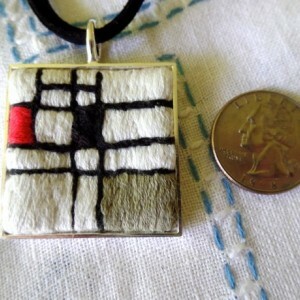 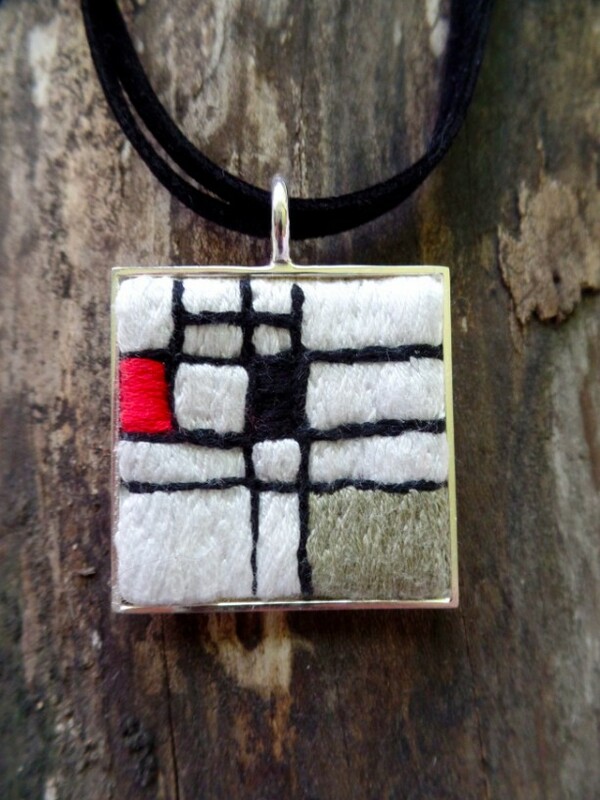 Mondrian Inspired Hand Embroidered necklace. 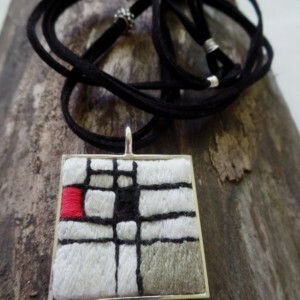 The clean straight lines contrasted with the hand crafted embroidery create an overload of tactile graphic modern fun! 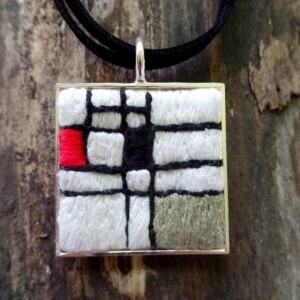 Add and unusual square shaped pendant and you have a true conversation piece that's go with so much! 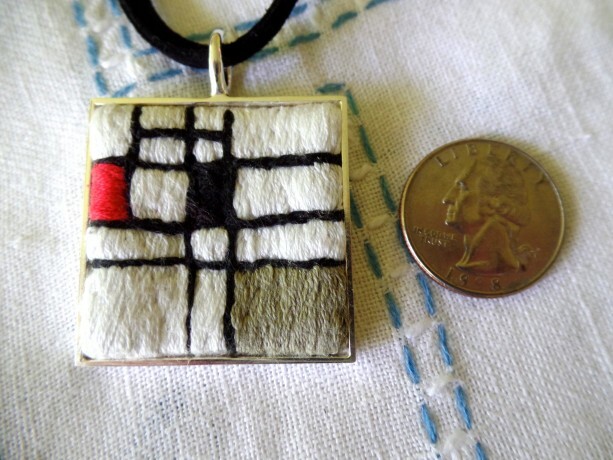 This 36mm (a little less than 1.5") hangs from a double layer of black suede that is wire wrapped, hangs 17" long and is accented by a silver bead on the side. 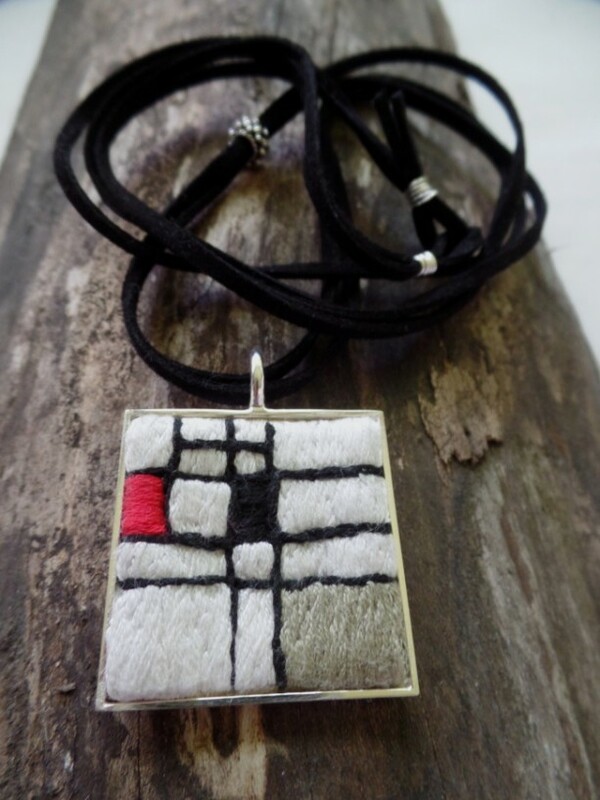 Feel free to ask for cord variations, both size and materials.